Reuther offers one of the largest stone veneer selections in the area. Natural stone veneer is made from real stone that is quarried and cut to a consistent thickness and weight for use as a veneer. Manufactured stone veneer is fabricated by pouring a lightweight concrete mix into rubber forms and then colored to resemble real stone. Reuther offer a wide assortment of both natural and manufactured stone veneers to suit any exterior or interior project. You can count on Reuther to provide superior customer service and on-time delivery, let our experience staff assist you in choosing the right stone veneer for your installation. 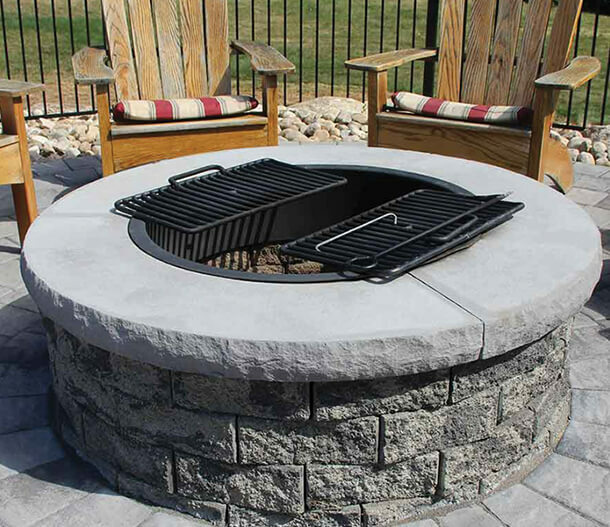 Stay warm with a Serafina Fire Pit!